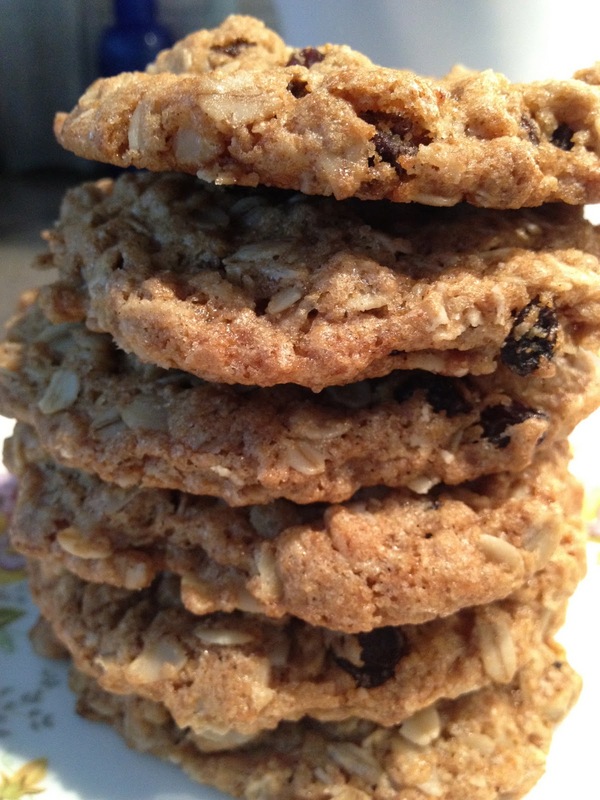 I thought I didn’t like oatmeal raisin cookies so I’ve never made them. But, one day I had old fashioned oats and thought I should make them for my husband and son. These cookies are a great combo of crispy and chewy. Now they are my favorite cookies to make! Makes 16 cookies using a 2 tablespoon ice cream scooper. Preheat the oven to 350. Whisk the flax eggs and set aside. Line a baking sheet with parchment paper. Sift the flour into a big mixing bowl and add in the rest of the dry ingredients. Mix well, breaking up any lumps of brown sugar. Add the oil and flax eggs. Mix with a wooden spoon to combine into dough. Using the ice cream scooper, scoop the dough onto the parchment paper leaving some space because they spread. Pat them down lightly with the wooden spoon so that the top is more flat-ish than round. Bake for 20 minutes. Let cool. Enjoy! glad you like them. they are a huge hit here. my dad especially loves them! Delicious! I used an all purpose gf flour (and gf oats) to make them gluten free and they turned out great. thanks for sharing. glad they work gf too!